On the evening of February 7, the "Happy Chinese New Year" performance of the Chinese Ministry of Culture was held in the Sheffield City Hall, where performers from Gansu Provincial Song and Dance Troupe presented to the local people and overseas Chinese a wonderful feast of art. Over 2,000 people attended the performance, including Minister Qin Gang and Cultural Minister Counsellor Wu Xun of the Chinese Embassy, Leader of the Council Paul Scriven and Councillor Alan Law, Lord Mayor of Sheffield, representatives from the University of Sheffield, the business community. Minister Qin Gang made the opening remarks to best wishes for the Year of the Rabbit to the over 2,500 people present. He said that Chinese New Year is the most important festival in China and largest celebration that many are looking forward to in a year. 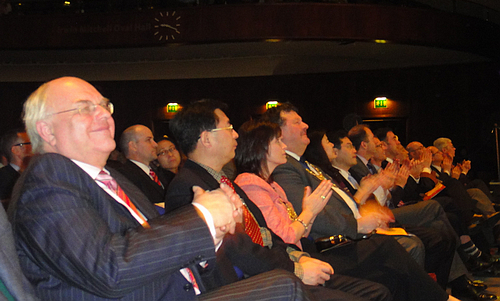 In recent years, there is a stronger and stronger atmosphere of the Chinese New Year in the UK. 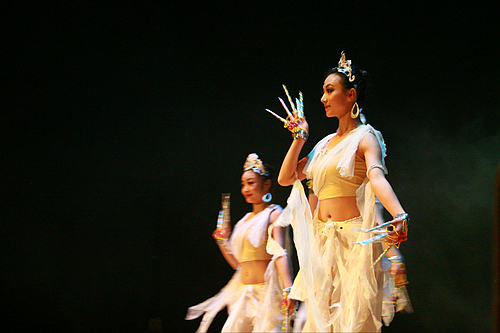 For example, the "Happy Chinese New Year" Art Troupe organized by the Chinese Ministry of Culture has performed in Sheffield for two consecutive years, receiving strong support from the local community and spectators. The traditional culture of Chinese New Year is gradually spreading around the world through the platform of "Happy Chinese New Year" and thanks to the joint efforts of the Chinese people at home and abroad. It has become a brand and a symbol of the Chinese culture and has played an important role in promoting understanding and friendship between China and other parts of the world. With the help of the "Happy Chinese New Year" events, the British public can further perceive and understand China. Minister Qin thanked the Gansu Provincial Song and Dance Troupe for coming all the way from China to present the spectators the brilliant performance, and introduced the long history and culture of Gansu Province and its current economic and social development, helping the spectators to have more specific and in-depth understanding of Gansu while appreciating Chinese culture and watching the performance. Councillor Scriven warmly welcomed the performance of Gansu Provincial Song and Dance Troupe in Sheffield on behalf of the City Council in his speech, and said that the Chinese New Year is a window to understand China and is increasingly popular among the local people. Sheffield hopes to work with China to strengthen the exchanges and cooperation in economy, trade, education, culture, city twinning and other fields. Councillor Scriven also thanked the Chinese Embassy for its strong support for Chinese New Year celebrations and wished the performance a success. The 2 hours of brilliant performance received warm response. 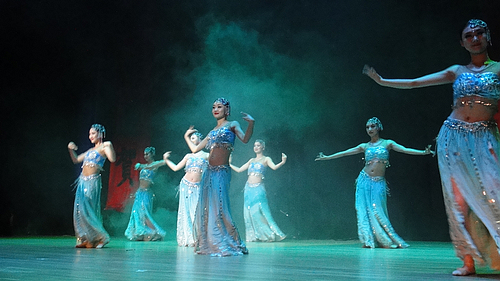 The Gansu Provincial Song and Dance Troupe pushed the performance to a new high again and again with its "Moon Water Goddess of Mercy," "Dancing Girls" and other dances reflecting the Dunhuang culture, Dunhuang ancient music "Rhythm of Xiao", "Yizhou", etc. 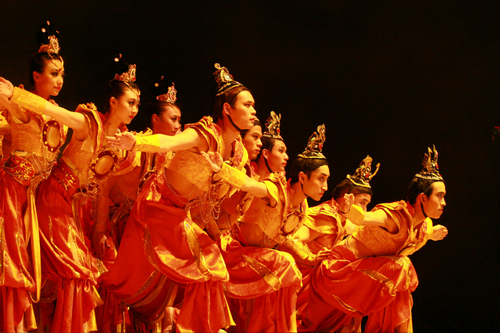 played by traditional Chinese musical instruments such as Koto, Pipa and Xiao and stunning acrobatics and martial arts performances. In the moving music of the song "Memorable Tonight", the performance came to a close. It brought to the people of Sheffield brand new audio-visual enjoyment and the New Year greetings from China.